Astonishingly, WordPress.org is considered to be world’s most popular self-hosted CMS solution and also it empowers over the quarter of all the world’s websites. WordPress is considered as second most popular on the list of free blogging platforms. As a result, it helps the developer to seemingly access the unending range of plugins and themes. Choosing the best plugins, themes, and design trends for the website will provide distinct personality in the industry. Let us take a quick look at some of the most important WordPress trends in 2017 below. Simplicity is the key to great usability. Single-Page Websites is one of the most popular WordPress design trends for individuals and companies who are specialized in a single product or service. One page design websites are simpler and narrating the story through each page attract the attention of the visitors also convince users to buy the product. One of the best advantages of Single-Page Websites is, there are mobile friendly hence it is very easy to update and optimize the pages. Virtual Reality (VR) technology presents a great deal of potential in significant industries, with applications such as providing virtual tours or demonstrating products. In 2017 we are going to see the large amount VR-oriented WordPress theme. Few individual are using VR technology to make VR integration a big part of their website. Certain mind-blowing virtual reality-oriented plugins like WP-VR-view, are already available. Today developers enjoy the flexibility through Drag-and-drop content. Drag-and-drop content enables to maintain the entire control over most of the design elements without modifying the original website’s underlying structure. It helps to have complete control over the display just by using content creating a plugin. Many developers expect the trend to gain popularity in 2017. Another important WordPress trend in 2017 is the presence of the mobile compatible website. The number of the smartphone user is increasing tremendously and it is very important that website meets the requirements of the mobile users. According to the recent survey states that more than 80% of the people use the mobile phone for the internet. So it is very important for the WordPress web pages being mobile optimized. The number of the internet user is increasing tremendously and so as the E-Commerce site. E-Commerce provides design flexibility and numerous of shopping-oriented themes, hence E-commerce businesses are periodically shifting towards WordPress. One of the most powerful plugins for WordPress is WooCommerce which specifically tailored to e-commerce websites. WordPress is the world’s most popular Content Management System (CMS). It offers various tools and features that help to increase the popularity of the website. 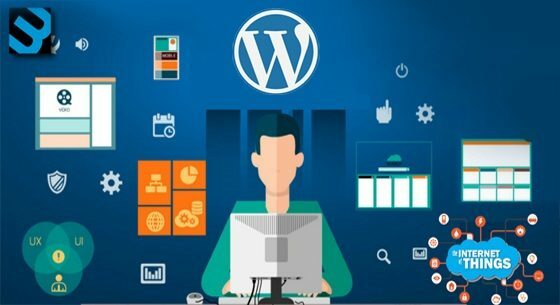 Paying attention to the latest design trends help WordPress development company figure out what works and also enables to provide WordPress customization services to the client.